Have the courage to be human and let your heart guide you. 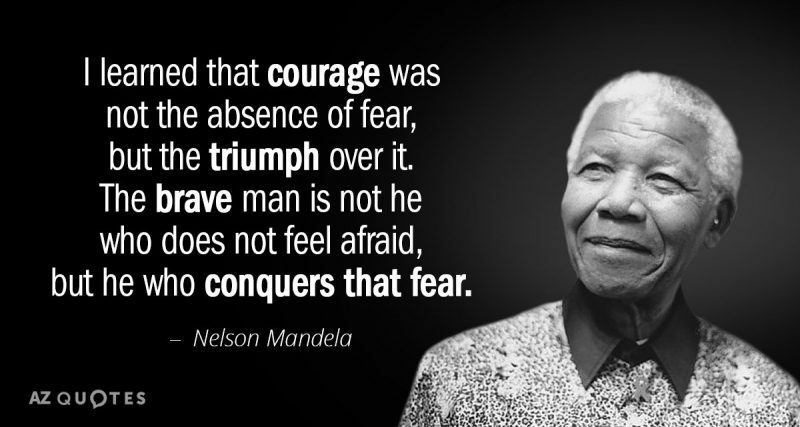 Today Nelson Mandela would have turned 100. He dedicated his life to peace, health, justice and equality. His bravery has inspired great movements that are still ongoing and active, such as #WalkTogether and #SparksofHope. There is a live stream celebrating Mandela on Facebook via The Elders. Watch it (back) and let’s carry on his legacy of optimism and change, one step at a time, no matter how small it is. Whether you change something in your own home, your business or personal life it’ll make a positive difference – I believe these small changes are universal and accessible to all of us. What did I do? Well, I just challenged Femke Halsema on Twitter to do a #WalkTogether in Amsterdam because of #MandelaDay and following her official speech as she was ushered in as the Mayor of Amsterdam. Reflecting on Mandela’s amazing life and resilient, human-focussed mindset has me thinking about how we can all tune into compassion in both our private and business lives. I’ve long been inspired by Buddhist mediation practice and believe that an ongoing contemplation and daily practice can help us all become more compassionate. This is not always easy, because we’re all just human beings who fall into the reactive trap instead of being conscious to act and being responsive to whatever occurs. It’s important to practice, learn and be kind to yourself and the people you interact with day-to-day. Compassion, patience and courage are important in my personal life so have naturally formed the root of how the team operate at Heartcore-Lab. We lead and guide from the heart and our strong core beliefs and attitude ensure that we thrive, in business and in life. Our open and experimental mindset ensures that we continuously seek new opportunities and experiences for our clients and ourselves, all whilst remaining good-spirited and looking to learn. I find personal development one of the most important and beneficial things to focus on; being a business owner doesn’t mean that I’m done with learning. Quite the opposite: I’m learning every day again, taking risks as an entrepreneur, exploring global connections for the better, guiding my team to tap into their own greatness and showing my clients how to reach their full potential by communicating from the heart. No one said it would be easy! We truly act compassionately in our work. Where we feel there is need to really make a change, we’ll go for it. This is because we believe that we can help you make real change happen in your organisation or in life. Organisations are made up of people – each one complex and unique – and we believe that everyone has the ability to thrive in their work life too. We hope that our energy and way of working makes the work life of our clients more fun and energetic and encourages them to do the right things that drive real change. We all want to create impact, one way or another. A compassionate outlook is one of our core beliefs at Heartcore. What are your core beliefs? We believe that every company should have a strong set of beliefs. If they don’t, they should look to set some guiding principles. These beliefs should be something that you share with your organisation: things that you really believe in and that connects to your heart and the heart of your employees. If you don’t feel these beliefs, they’re simply not good enough yet. Keep trying to imbue shared values with your organisation and eventually you’ll find a very human core to build upon and this will bring you great joy, both professionally and personally. Core beliefs can come from any point of inspiration, as long as they resonate with you and your colleagues. For instance, I’ve been greatly inspired by the belief system of Ubuntu. It feels right to talk about Ubuntu in this context, because I find it to be a remarkable system and it has helped us in crafting core beliefs, not just for ourselves but for the organisations and teams we work with too. During my THNK journey I had the profound experience of being part of a very humble invocation led by my dear friend an co-THNKer Theresa at the end of our half-year THNK journey. This practice was all about invoking the energy and spirit of Ubuntu to bless everyone in the room so that we would be protected and supported on the journey ahead by the powerful energy of Ubuntu – the force that brings the right people onto the path to do good in the world. Theresa’s teaching helped us out on our core beliefs journey because she embodies Ubuntu in a natural way and was happy to be open-minded and helpful. Ubuntu, Mandela, meditation.. these aren’t the most obvious sources when it comes to crafting your core beliefs, but they prove that including meaningful personal experiences in the way you do business can be greatly beneficial. These experiences have helped me focus on what I want out of Heartcore-Lab and how we can help our clients discover what’s important to them, their business and their people. It’s with all this in mind that I’m sharing our core beliefs – I hope they’ll get you thinking! If you’re interested in learning more, please do ask us to guide you on your journey, whether it’s in cultural change, designing and co-creating practices or it’s to help you in setting a powerful set of core beliefs that you can communicate to your organisation and bring them happiness in all spheres of life. At Heartcore-Lab, we inspire transformation by connecting you to unlimited possibilities. The promise of a creative tomorrow. Building a legacy deeply rooted in values that unite people. The power of words to ignite imagination and motivation. A curiosity for learning. We help you become the energy you want to attract. Co-create the space for playful exploration. Spark open-minded conversations that matter. Bring authenticity back. Doing the impossible. At Heartcore-Lab we help you keep the magic alive. We rise by lifting you. Yes, we cause cultural change through rebellious creativity and communication re-design. We light fires & imagination. Craft powerful story-telling. Align insights with vision. Purpose with innovation. Heartcore-Lab connects, reflects, transforms you. Your business, your people.